Can I pay the same amount for the same cellphone number e.g from the same cellphone number and the same amount during the first 24 hours after my initial transaction? No, to combat possible fraud or corruption there is a barrier which might prevent duplicate recharge attempts e.g from the same cellphone number and exactly the same amount during the first 24 hours after the initial transaction. If such duplicate recharge attempts process within the 24 hours period, the conditions stipulated in Clause 4.5 of our Terms and Conditions will apply. Prevent inconvenience by recharging with a different Rand amount. Note that changes will not be picked up if you make a different payment in cents. i.e. First payment R200 , second payment R200,01 . It needs to be a different Rand amount i.e. First payment R200 , second payment R210. Why does the balance of a deposit greater than R250 into my SmartFund only become available after 48 hours? We have taken measures to limit the potential risk of internet banking fraud. The remainder of your deposit will become available after 48 hours - once this deposit has been cleared by your bank. Please contact support if you have any questions or queries. 1Voucha is a virtual voucher that is issued in the form of a 12-digit code which can be communicated to the recipient (or winner) by yourself, in the format of your preference, with the steps on how to claim their prize. The 1Voucha is where you can Pre-order stock in airtime vouchers according to your needs. Can I control my 1Voucha stock? Yes, you can control your own stock and can buy as you need it. We can also supply you with an unclaimed & claimed report on request for you to control your stock. Is 1Voucha a printed voucher? How will I receive my 1Voucha file? You will receive it as an encrypted file send to the client who purchased the bulk product. We will request a cellular number where we supply the password in order for you to access the file. Can I claim my airtime voucher product via a USSD string? Do I need data to redeem my 1Voucha? Yes, end user must have access to data. 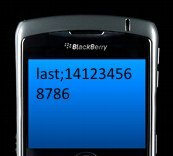 How does the end user activate the airtime code? User select the airtime provider & enter the cell number to recharge. Your airtime will be loaded pin less within a few minutes. Do I pay an admin fee for the 1Voucha transaction? Yes, there is an administration fee applicable, but this will be communicated directly to the client. Is the admin fee charged once off? No, admin fee is charged per each 1Voucha batch transaction/purchase.